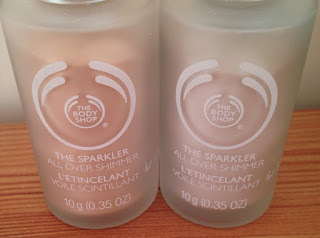 After seeing a blog post on The Body Shop sparklers, it made me really want to get them and I knew they were a must have!! :) The packaging is adorable, elegant and so classy, the sparklers look like something out of a movie or you would see on a vintage dressing table. 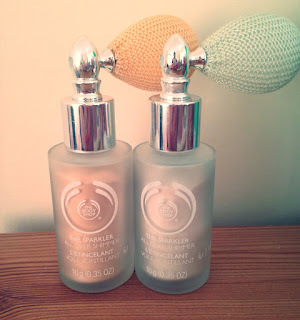 The Body Shop had a really good deal on in the makeup section 2 for £20 and they also had 20% off for all people who had a loyalty card, so I thought it was the perfect opportunity to invest in them. I got the sparklers for a bargain price and am really happy with them. I decided to go with the Vanilla Brulee and Glazed Apple because they smelt amazing!! The Frosted Cranberry wasn't really my cup of tea but that's just me. You can use the sparklers for your hair, face or body, I have used them quite a few time in my hair but have yet to use it on my body. I love the touch of glitter in my hair and is perfect for a night out! Vanilla is one of my all time favourite scents, I have candles, perfumes, body butters, you name it and I have it in vanilla. 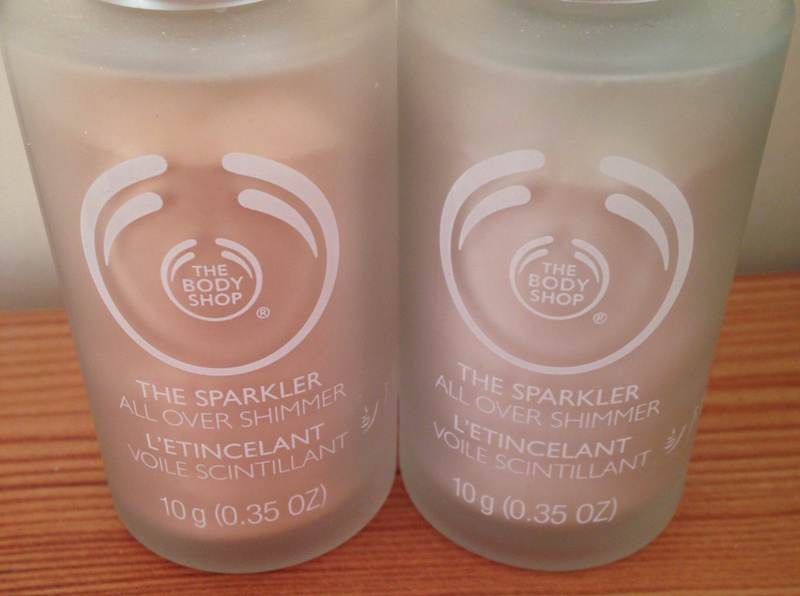 I love that the sparklers all have a scent to them, the vanilla one is heavenly and I am hooked. The gold shimmer is amazing and it is no wonder it is in the Christmas range. The Body Shop has outdone themselves with the sparklers!! The Glazed Apple products are my favourite scent of the Christmas range, it smells heavenly. The sparkler is a green/silver and is stunning. I am really happy with the glazed apple sparkler and love the Christmassy sparkle. For all glitter lovers this is a must have and you will fall in love with it instantly! !